SBDC: The SBDC mission is to grow the economic vitality of our community and our State, fostering job creation and retention, capital investments, and dynamic innovations that support an ever-improving quality of life for everyone in our community. This mission is accomplished by assisting local small businesses and entrepreneurs build a foundation for individual and company success through individual counseling, organized business education, and innovative special programs. In support of this mission, and the SDI initiative launched in Jan 2015, the SD/IV Regional SBDC Network has developed a program specific to the needs of the LGBTBE Biz Builder program to assist in the growth and development of LGBTBE certified businesses in this area. 1) Providing a Program Coordinator to provide outreach of services to the LGBT business community. What is LGBT-Owned Business Enterprise Certification (LGBTBE)? The National Gay & Lesbian Chamber of Commerce Supplier Diversity Initiative (SDI) offers businesses a tool to make connections and open doors with America's top corporations, several federal government agencies and other certified businesses. The SDI certifies Lesbian, Gay, Bisexual, and/or Transgender owned Business Enterprises (LGBTBEs) and works to provide opportunities for LGBTBEs to gain exposure within government and corporate procurement processes either as a contractor or a subcontractor. California Public Utilities Commission (CPUC) LGBTBE certification provides registration in the CPUC centralized supplier database which is accessed by participating utilities throughout the state of California.CPUC certification is valid for three (3) years, and is no fee. Please note that businesses that are already certified by the Women's Business Enterprise National Council (WBENC) or the United States Business Leadership Network: Disability at Work (USBLN) are eligible for expedited certification. CPUC PROCESS: ​If you are interested in certification and believe your company qualifies as a women, minority and/or LGBT-owned business, carefully read our General Information and Application on our website www.thesupplierclearinghouse.com before submitting a complete, signed and notarized verification application with all required documents to the clearinghouse office. Reading the Supplier Clearinghouse “Questions and Answers” section will also be helpful. Please note: Our program does not accept applications directly. The clearinghouse also accepts women, minority and/or LGBT business certification from agencies with comparable verification criteria. If your current clearinghouse certification is expiring, submit a reverification application. The NGLCC application fee costs $400 to become certified. If you are a member in good standing of an NGLCC chamber affiliate, this fee is waived with proof of membership.  If you are a SBDC client, the fee is not waived, however you will receive FREE business consulting services and trainings to assist you in your application process. The California Public Utilities Commission (CPUC) provides an LGBTBE application process that is FREE.